On March the 1st, 2016, the Refining Forum achieved an important milestone when it convened for its sixth edition, with the participation of Climate Action & Energy Commissioner, Arias Canete, MEP Elissabeta Gardini, the Mayor of Thessaloniki, Member States, the Commission, industry representatives, experts, and other stakeholders. A bit of history, first: on May the 15th, 2012, Commissioner Oettinger organised an EU Refining Roundtable, at which the representatives of 21 EU Member States, Members of the European Parliament, the EU refining industry, and trade unions, shared views on the difficulties faced by the EU oil refining sector and called for co-ordinated action at the EU level. As a response to these requests, the Commission organised an EU Refining Conference on November the 26th, 2012, where stakeholders gave their views on the Commission’s proposals for a horizontal sectoral fitness check of oil refining as announced in October, 2012, in the Commission’s Communication on industrial policy, and on setting up an EU Refining Forum. The aim of the EU Refining Forum is to provide an opportunity for the industry, Member States, Members of the European Parliament, the Commission, and other stakeholders to come together and discuss planned and future regulatory proposals, with potentially significant impacts on the EU’s oil refining industry and on the EU's security of supply of petroleum products. The 6th Refining Forum, with a record participation of 140 attendees, and a list of prestigious speakers, witnessed all stakeholders recognising the economic and social value of the European refining sector, and calling for a continued review of the Fitness Check, and its use in assessing the cumulative impact of existing and upcoming legislation. The Forum also benefitted from unprecedented coverage by traditional and social media. EU refining is key for Europe’s security of supply, and ensures that both climate and environmental legislation are implemented. In his opening keynote speech, Commissione Cañete proclaimed that: “this Forum goes from strength to strength”. He underlined the crucial role of the European refining industry for the EU’s security of supply, and its worldwide leading position for energy efficiency and innovation. He stated that short and long-term competitiveness should not be harmed by the energy transition, even if, in the long run, decarbonisation will have an impact on this sector. Dominique Ristori, Director General of DG ENERGY, supported the Commissioner’s view, and stressed further the key value of the EU’s refining industry for the broad EU economy. MEP Elisabetta Gardini, urged the European Commission to be realistic and pragmatic: “until the rest of the world has comparable binding commitments to those of the EU, it is in the interests of the planet to keep industrial activity in Europe, rather than offshoring it to less environmentally rigorous regions”. She also stated that: “the refining industry provides value to the European economy, to the industrial fabric, to citizens, and additionally contributes to the global environment”. She also spoke of the need for complete protection from carbon leakage (including both direct and indirect ETS costs), to maintain an internationally competitive level playing field. Peter Mather, VicePresident of BP Europe and a Board Member of FuelsEurope, underlined the importance of the longterm regulatory stability and strategy, to allow companies and investors to plan their business investments, with the confidence they will have a long life and value for the long-term. He asserted that refineries will continue to be needed in the EU, even in the longterm, as it is still unclear what other technologies could replace the internal combustion engine. Kristine Petrosyan, Oil Market Analyst at the IEA, emphasised the future increase in refining over-capacity, along with declining oil product demand in Europe, possibly leading to further industry rationalisation. 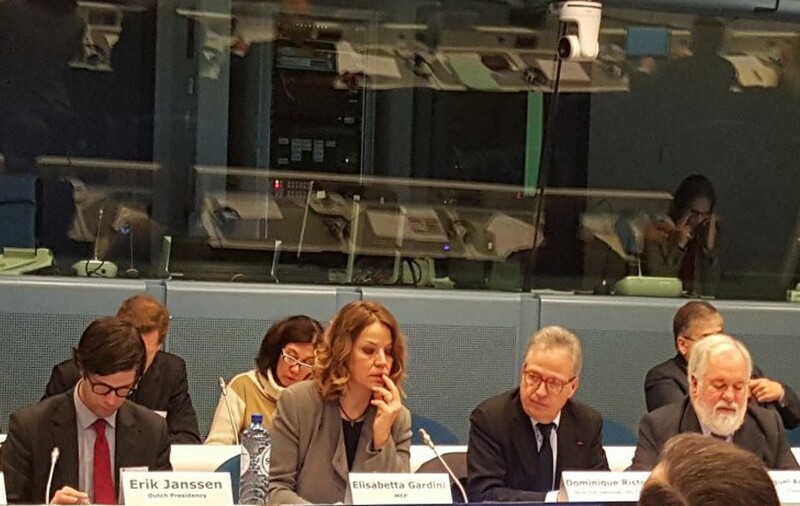 A number of Member State representatives, including Italy, Belgium, and Spain, reiterated calls expressed at the last meeting of the Forum in June, 2015, for the Refining Fitness Check to be a dynamic exercise, which should be continuously updated, taking into account upcoming legislation, especially the implementation of phase 4 of the ETS, which is likely to add further to the regulatory burden on the sector. The UK representative talked about the key importance of domestic refineries for the resilience of the UK economy, in the face of possible international disruptions of energy supply. The Dutch Presidency of the Council, represented by Erik Janssen of the Ministry of Economic Affairs, highlighted the importance of the Refining Fitness Check as a reference study in the context of industry’s competitiveness. He highlighted the need to implement the COP21 agreement, in such a way, as to allow the EU to meet its targets, without this negatively impacting on its’ competitiveness. On phase 4 of the ETS, he called for effective protection against carbon, investments, and job leakage after 2020, until competitors in third countries are subject to similar regulatory burdens as the industrial sector in Europe. EU Refining has an essential role for local communities and ensures social welfare. The Mayor of Thessaloniki, Yiannis Boutaris, underlined the critical importance of the refinery located in Thessaloniki, for the economic sustainability of his community. He declared that many stakeholders are probably not aware of the fact that the latest investments in the refinery, considerably improved the protection of the workers and environment. The CEOs of Hellenic Petroleum and CEPSA, intervened in the debate, stressing further the contribution of the refining sector to the EU economy, and the need to consider differences in competitiveness, and in regulatory burdens between the EU and other parts of the world. John Cooper, Director General of FuelsEurope and Concawe, reiterated the industry’s support for the Commission’s approach to COP21 and the Paris deal. He, however, reminded the Forum - pointing at the expected rising cost of carbon under phase 4 of the ETS - that “until other significant regions of the world take up binding commitments in GHG reductions, translating into a carbon cost for their industries, the best performing EU refineries (as well as the other EIIs) need effective and complete protection from carbon leakage”. He also commented that: “We strongly believe in the capability of the market, to deliver the most effective solutions, to achieve environmental targets in an economically sustainable way”. Finally, Mechthild Wörsdörfer, Director of DG Energy, confirmed that a 7th Refining Forum would take place in Autumn, 2016. The sixth Refining Forum has been outstanding, especially for the consistency of the positions expressed, in support of the need to create and maintain the regulatory conditions for the EU refining industry, to compete on a level playing field with the rest of the world.